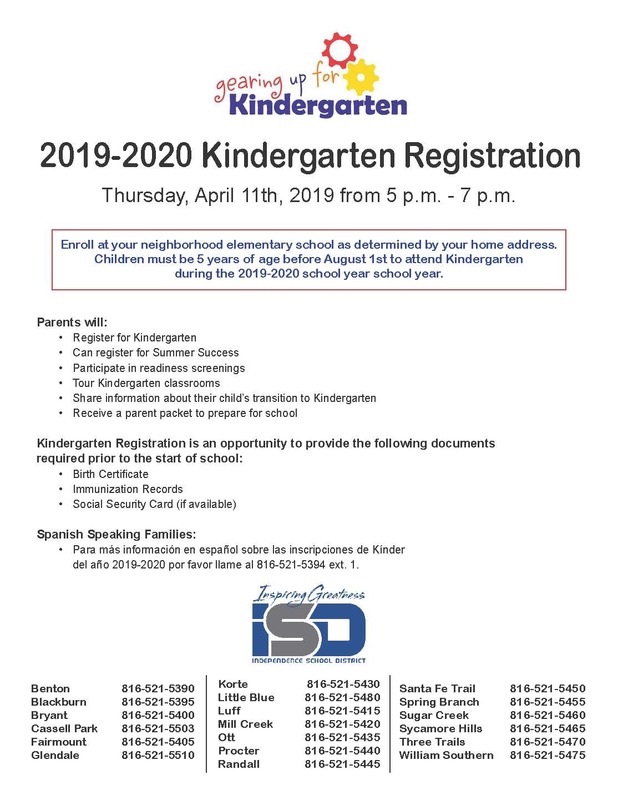 Mark your calendar for ISD kindergarten registration night on Thursday, April 11 between 5 p.m. and 7 p.m. at every district elementary school. Children must be 5 years of age before August 1st to attend kindergarten during the 2019-2020 school year. You should plan to register that evening at your neighborhood elementary school as determined by your home address. This will also be an opportunity to sign your student up for kindergarten summer school. Parents and students can also tour kindergarten classrooms and get important information about the transition to kindergarten. April 11th is also an opportunity to provide important documents required for the start of school, including your child’s birth certificate and immunization record. If you have questions, please call 816-521-5503. 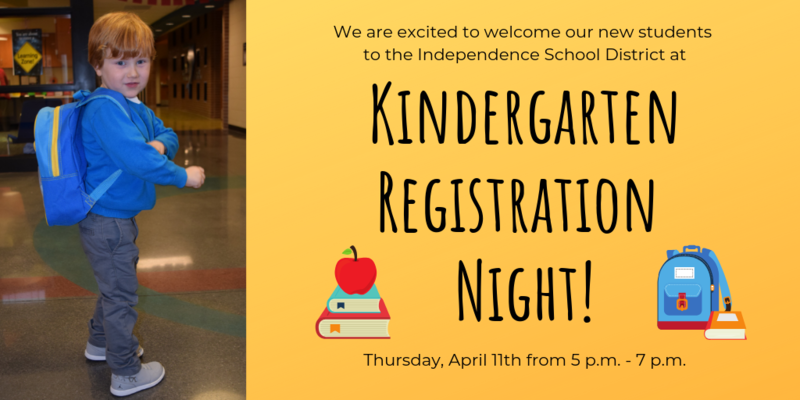 We are excited to welcome our new students to the Independence School District and look forward to seeing you on April 11. Para más información en español sobre las inscripciones de Kínder del año 2019-2020 por favor llame al 816-521-5394 ext. 1.